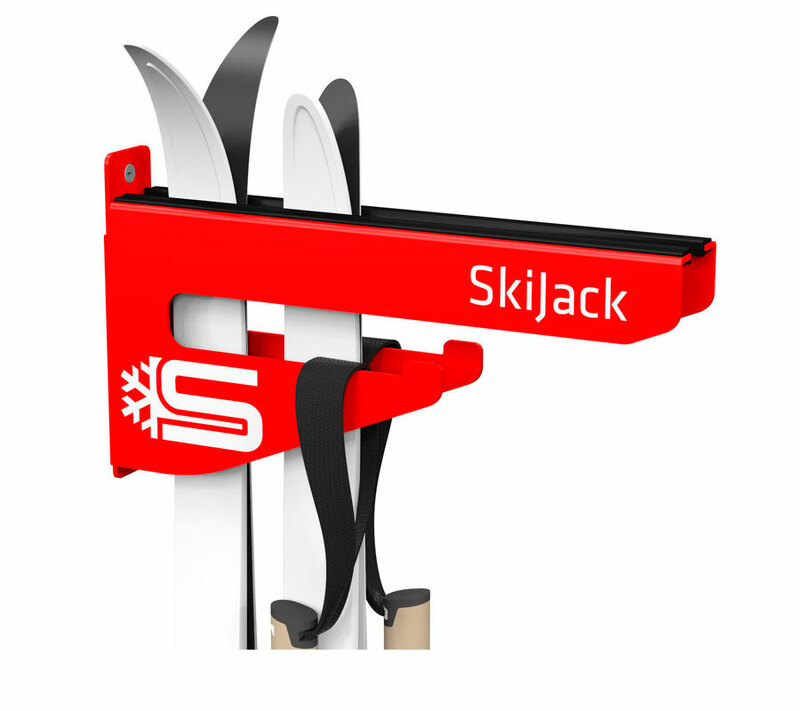 Skijack is a bracket system for skis and ski poles, developed and designed in Norway. 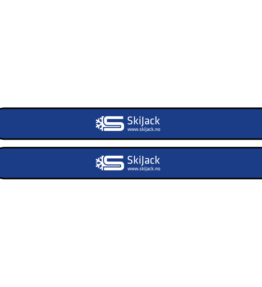 Skijack fits up to 6 pairs of cross-country racing skis or 2-3 pairs of downhill skis with poles, or even 2 snowboards strapped together. 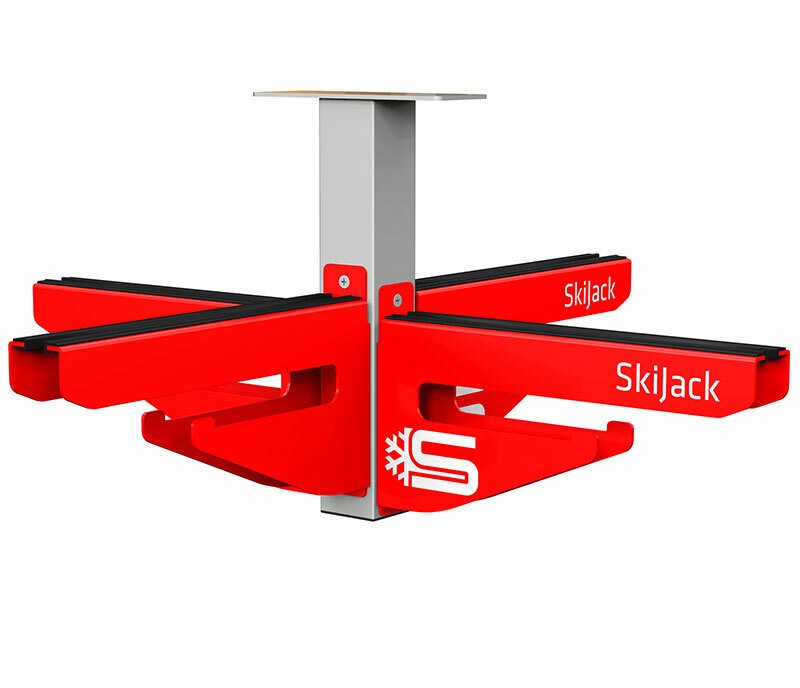 Skijack utilizes the depth rather than the width, using two screws and only 5 cm wall space. 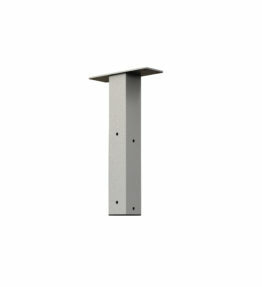 A separate ceiling bracket is available. This can store up to 4 Skijacks. The bracket can be hung from the ceiling in the storage room or from the garage joist, for optimized utilization. 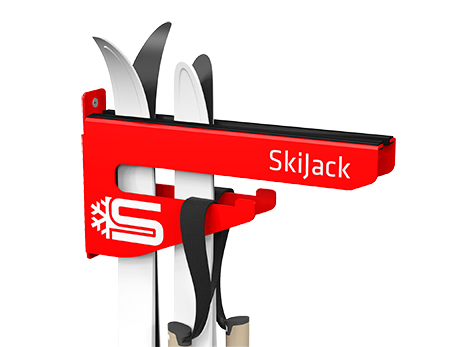 Skijack is also designed to be mounted to the external cabin wall, for easy storage in between skiing. 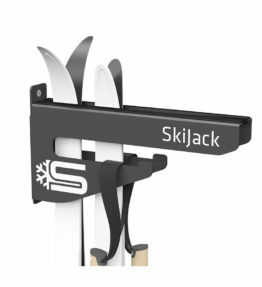 Keep your ski equipment in order with Skijack! 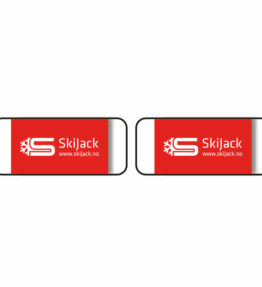 ©2019 SkiJack | E-post: post@skijack.no | Telefon: +47 909 78 777 | Utviklet av New Element AS.